The Electric Ukulele is an instrument which has grown in popularity in recent years. Ukuleles are small four-stringed musical instruments which are guitar-like in appearance and are chiefly associated with Hawaiian music and more folky and acoustic genres. They are a perfect traveling instrument, mainly because of their small size, and the fact that you can often get hold of one for a relatively cheap price means that they are a great instrument for beginners. Finding an electric ukulele under $100 isn’t unusual. Electric ukeleles open up a world of possibilities, they’re easy to amplify and run effects through and give a different sound to the acoustic models we’re used to. You can even play heavy AC/DC songs through your uke! 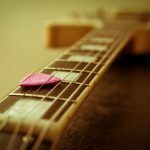 A little knowledge on the best electric Ukelele available for you in the market will go a long way in helping you find the best instrument for your own specific needs and budget.The following detailed guide will help you understand the best electric Ukelele. The following detailed guide features a lot of reviews, and models that range from budget to more professional and expensive. 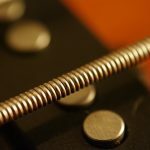 It will help you understand what makes the best electric Ukelele, and give some options for someone wanting to delve into the world of electric uke’s for the first time. 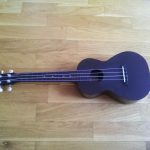 One of the things you need to understand when buying an electric ukulele is the sizing of Ukuleles. The different sizes available have different names, characteristics and sounds. Soprano. These are the smallest of the family and are usually around 20=21 inches. They have a high-end sound with a lot of brightness. The Soprano Ukulele is the sound a lot of people think of when they think Uke. These are certainly the best if you are looking to travel with your instrument as they are small and more convenient. Concert. Concert style Ukuleles are slightly larger and easy to transition to if you’ve been playing bigger instruments such as guitars. The sound produced by a concert style is a bit less high and has a rich quality. The larger body gives a bit more of a well-rounded sound, with frequencies akin to a guitar. Tenor. As you can probably see there is a pattern developing. Another slightly lower sound with a larger body and sound hole. Easier to play if you have big hands and an interesting sound even if not the most popular style of Ukulele. Baritone. Baritone means more of a lower, bassy sound. They are tuned the same as acoustic guitars so will be much more easy to just pick up and play if you’re already used to that instrument. The Cordoba 20TM-CE Acoustic-Electric Tenor Ukelele is a prominent model. It was Leonard Cohen’s choice and offers a nice option when it comes to professional to medium range ukes, though it is fine for beginners too (just a bit more pricey). With the Cordoba 20TM-CE Acoustic Electric Tenor Ukelele, you can expect quality in all the aspects of the instrument, with impressive sound, looks and reliability. The Cordoba 20TM is a uke with impressive build quality, it usually comes with a set of ukulele strings that are made by Aquila Night and has a very cool cutaway design and a mahogany body. With this particular Ukelele there is an amazing tone, resonance, clarity once amplified and volume that we associate with a good instrument. The reviews on Amazon and other retailers tend to be very favorable, and this Tenor Uke seems to have something of a cult following. It is a bit on the pricey side, but is a very professional instrument, and won’t hold you back. 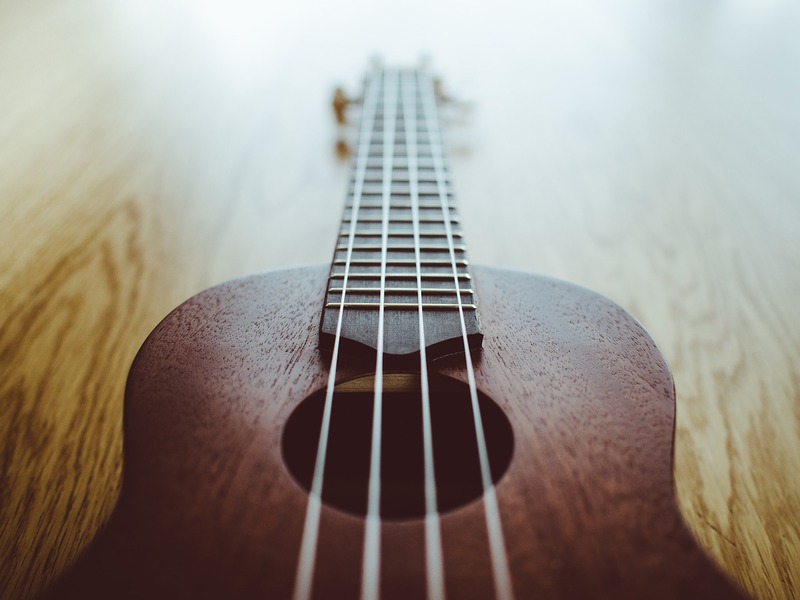 If you’re opting for an acoustic/electric ukulele, make sure you check out our articles about caring for your ukulele including this article about humidifiers. The Kmise Solid Spruce Ukulele is an instrument with a deserved good reputation. They are solid and make an impressive beginner to mid-range Uke. They are good for beginners who are trying to learn how to play the Ukelele and a lot cheaper than some of the other models out there. It is a unique and different Ukelele that is made of mahogany and has several neat features that give it a refined look. The Luna Mahogany series Ukelele is characterized by solid tone. The body design is awesome with a cool wood pattern, and these definitely have an authentic Hawaiian look if that is what you’re going for! Considering the price, the reviews on Amazon are exceptional. This is an acoustic electric ukulele so if you want to play it just as an acoustic, you can do that too. Some of the features include an LCD screen and EQ, which aren’t things you’d normally expect from what is a pretty cheap instrument. This is definitely a good choice if you’re on a budget. This looks a lot like a mini guitar! The Epiphone les paul is iconic, and now you can have it as a ukulele too. The Cherry Burst Ukelele is a really awesome design. It has a triple A grade maple top and 15-inch scale length, the design is pretty quirky and gives a great look if you’re in a band. The awesome piezo pickup does a great job of creating a beautiful tone once amplified, meaning this offering from Les Paul is a great choice for most professional and even amateur ukulele players! It has top reviews, and the design is recognizable all over the world as being an Epiphone les paul style. When I found out that this product had been made, I was a bit skeptical. Les Pauls have always been known as guitars and many have wondered if this is just them cashing in on making a ukulele too. I don’t think this is the case, and the build quality is absolutely excellent. Reviews are a little varied, and a couple of criticisms have been to do with the fact that this doesn’t have an inbuilt EQ, but this is something easily rectified on your amplifier (many amps from Orange, Roland and Marshall have EQs). The majority of reviews we’ve come across seem pretty favorable, and for a beginner or intermediate player, we definitely recommend the Les Paul. Hours of fun. The Vorson FSUK1BK electric Ukelele is another cool offering that has more of an electric guitar look and feel to it than Ukulele. It has a Dual single pickups coil that provide a great tone. The Vorson also has great tonal variations and the neck makes it easy to play. This is a Tenor Ukulele and explores some very interesting possibilities, especially if you start to plug it into amps and effects pedals. On first look, you would be forgiven for thinking this was a mini Fender Stratocaster guitar, but on closer inspection, it is clear that there are only four strings. The FSUK1BK has a lot of novelty value, but it is still a great tool to have in your arsenal. Coming with a padded gig bag and everything you need to get started except for an amplifier, this is a great gift for Ukulele players who want to explore a new way of making fun and quirky sounds or add another dimension to their performance or recording. There are a million reasons to love technology, and now you can make it a million and one as we have Bluetooth Ukuleles! It is fair to say that this Soprano sized Ukulele has its own unique selling point – it is Bluetooth connectible. This has some very cool benefits including being able to play along with backing tracks on your smartphone, listening to yourself through headphones or even performing on a smartphone or tablet. This is a small, compact product perfect for taking out and about with you, and the awesome extra technological features are an added bonus. The EleUke even has a few different designs. One even looks like a telecaster! An homage to the Fender and Squier guitars which are so popular. These affect the tone a little, but generally which you buy will probably boil down to which looks coolest. 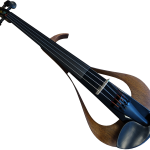 If you want to get someone talking, and love to play quirky instruments, the EleUke is one for you! Your bandmates will be intrigued the next time you bring it out at practice! The electric ukulele is certainly a concept which seems to be growing. 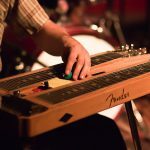 People want convenience in their instruments and having something that is electric means it is simpler to tune, run effects through and some would argue an all-round more versatile instrument. The fact that you can get electro acoustic models mean you can get the best of both worlds too. Some of the designs and tones in the models mentioned here are wonderful, and bring some exciting possibilities to musicians everywhere!